Bianca Jones’ captain in the Baltimore Police Department sends her to the Department of Mystic Affairs’ academy to receive further training in battling supernatural menaces. While there, she begins a rivalry with a fellow cadet named Karver, who is secretly a former demonically possessed serial killer called the Carver that Bianca brought to justice early in her career. This story is a crossover between French’s monster-fighting cop Bianca Jones and Agent Karver of the DMA, who first appeared in Thomas’ Murphy’s Lore series before spinning off into tales of his own. 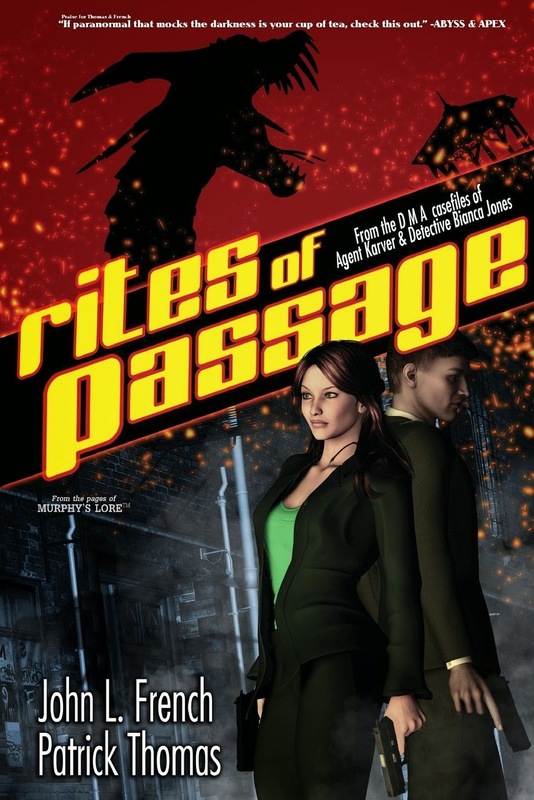 Since Bianca Jones is in the CU, so are Agent Karver and the other characters in the Murphy’s Lore books and their various spin-offs.